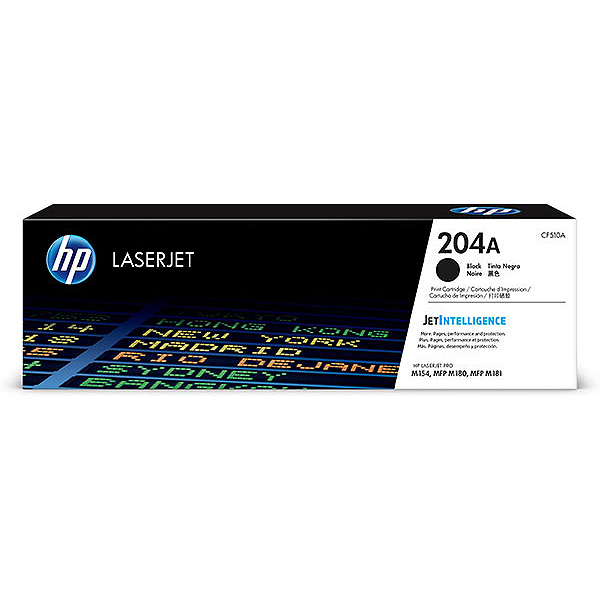 HP 204A (CF510A) Color LaserJet Pro MFP M180 Black Original LaserJet Toner Cartridge (1,100 Yield). Affordable toner cartridges for a fast compact printer. Original HP Toner cartridges with JetIntelligence deliver enhanced efficiency with dependable tracking of toner levels at cost-effective prices.